Seattle-based GlobalScholar is announcing today a $27 million B Round from existing investors Ignition Partners and Knowledge Universe Education. This is on top of a previously undisclosed $15.5 million A Round the company raised early last year. Board members include Ignition’s Brad Silverberg and former Drugstore.com CEO Peter Neupert. In conjunction with the investment round, GlobalScholar is also announcing that it has acquired Excelsior Software for an undisclosed amount (although it was less than half the total raised). Excelsior makes student assessment software used by teachers in 1,000 school districts nationwide. 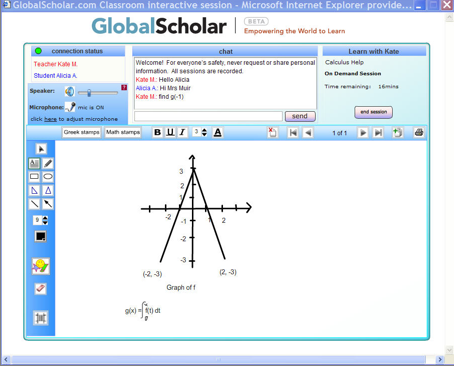 GlobalScholar will be adding the Excelsior’s business to its existing Web-based tutoring platform, which it launched quietly last fall. 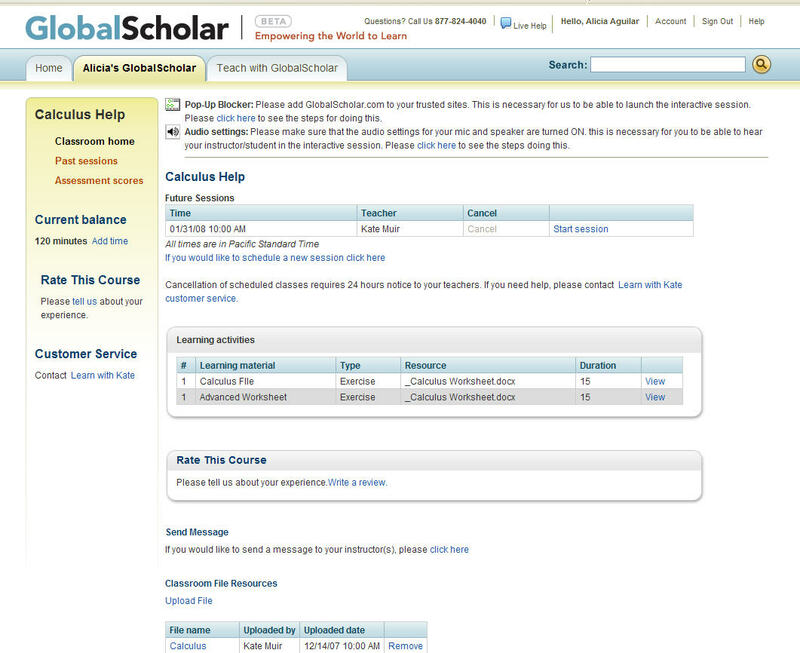 GlobalScholar is a WebEx for tutors. 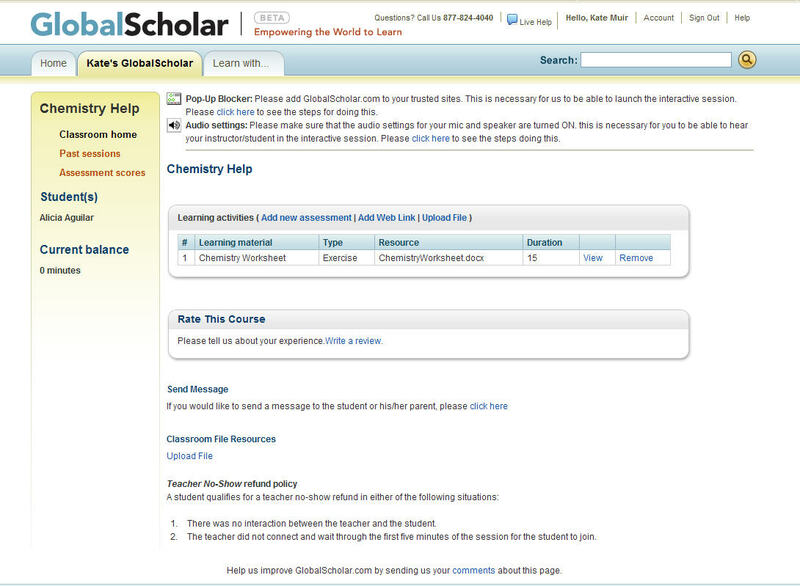 Parents and students can find pre-screened tutors on GlobalScholar for a variety of subjects and pay for one-time homework help or engage in ongoing tutoring sessions. 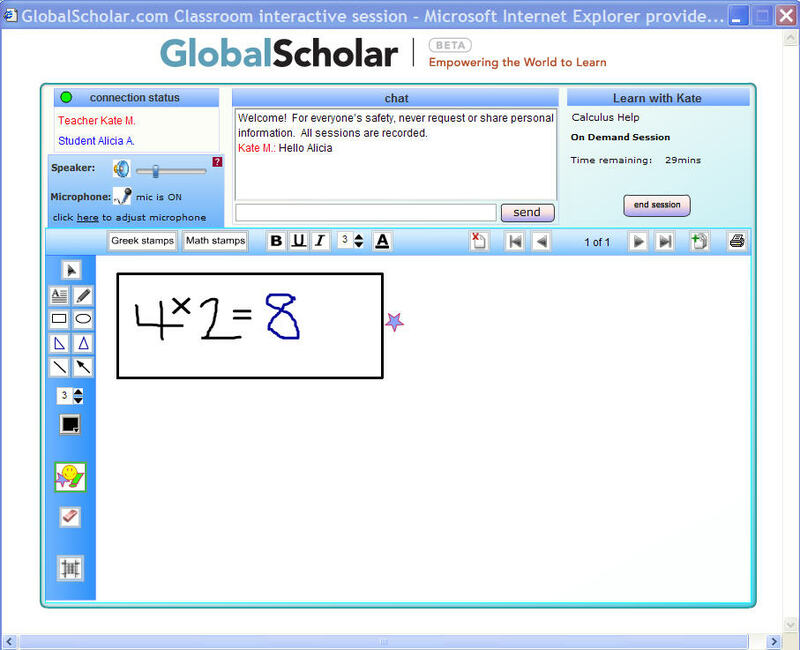 The sessions occur on GlobalScholar’s Website, which provides an online whiteboard, audio chat, archiving, and billing. (Here is a screencast explaining how it works). Tutors can charge their own rates—which can range from $5 to $95 an hour—and GlobalScholar takes a 20 percent cut. The first hour is only $1 to encourage people to try out the service, and GlobalScholar is offering $5,000 to the student with the highest SAT score that takes an SAT prep class online. Competitors include SmartThinking, Tutor.com, and TutorVista—the NYT reviews Tutor.com today. Watch out, Kaplan. 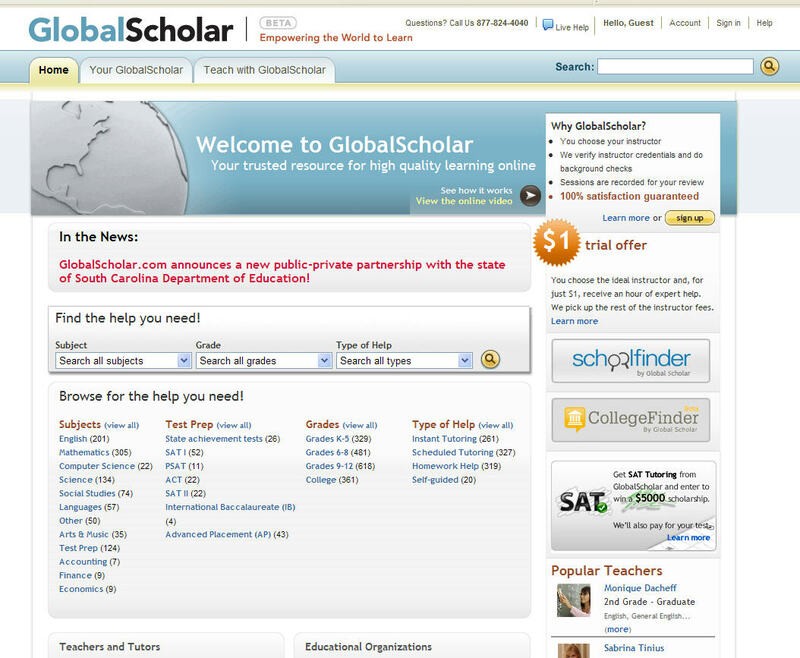 In addition to GlobalScholar, the company also launched two other Websites in the past few weeks. SchoolFinder pulls together basic information for elementary and high schools and lets parents compare one school against another. And CollegeFinder does the same for colleges, pulling in rankings from U.S. News & World Report and the Princeton Review. It also lists celebrity alums for each college. (Did you know that Sigourney Weaver and Ted Koppel both went to Stanford?). Parent and student reviews are coming soon.